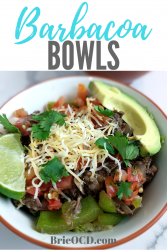 I love Chipotle’s Barbacoa meat so I decided to try and make my own barbacoa bowls! I wouldn’t say its exact because I obviously don’t have Chipotle’s recipe BUT it’s dang good and super easy to make! 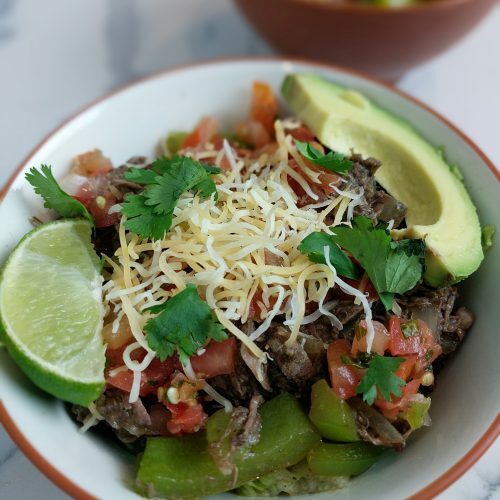 I got the Barbacoa recipe inspiration from Gimme Some Oven but then decided to try to copy my favorite meal at Chipotle and make it into a bowl! This recipe requires little prep work, all you need to do is chop the onion and chipotles, throw everything into the Crock-Pot and you are good to go! I bought the meat already cubed at Trader’s Joe’s (image below) but you can always buy regular chuck roast and cube yourself. This recipe is gluten-free! If you are using it for tacos just make sure you pick corn shells or gluten-free wraps. If you make it into a bowl like I did, then you are good to go! The possibilities are endless on how you want to use the meat. 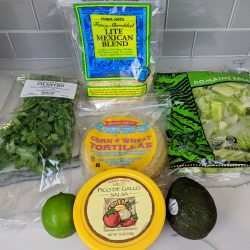 I made tacos one night and bowls the next but honestly you could throw this on top of a pizza, into a burrito, whatever your little heart desires! 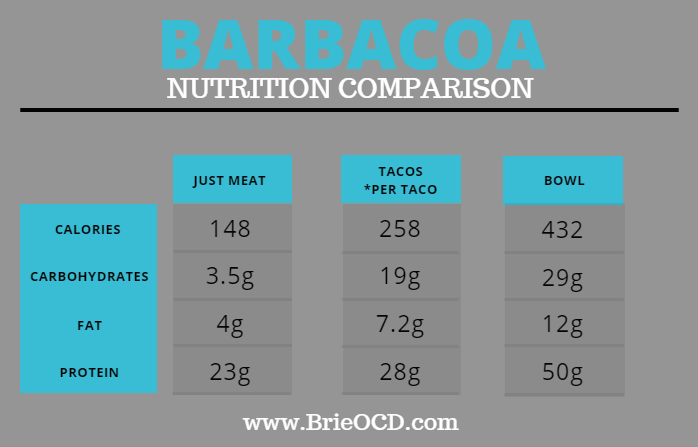 See below for nutrition information on the meat plain, in a taco or in a bowl! 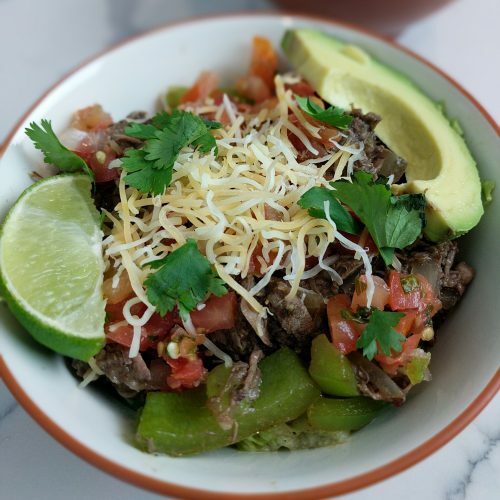 my attempt at a Chipotle barbacoa bowl! 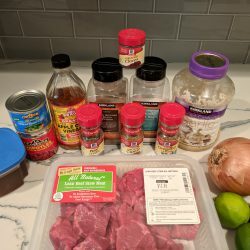 add all ingredients under "Barbacoa Meat" to slow cooker. Stir. Cover and set Crock-Pot on high for 4 hours OR low for 8 hours. When done beef should be so tender it shreds with a fork. Heat 1 tbsp olive oil over medium high heat. 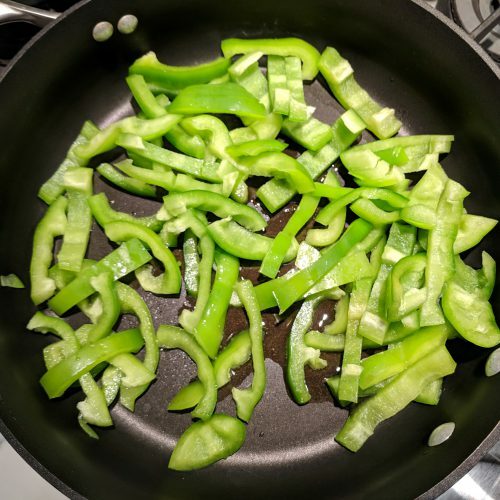 core and slice bell peppers and saute for approximately 5 minutes or until they reach your desired tenderness. place in tupperware and set aside. when crock-pot is done, remove bay leaves. 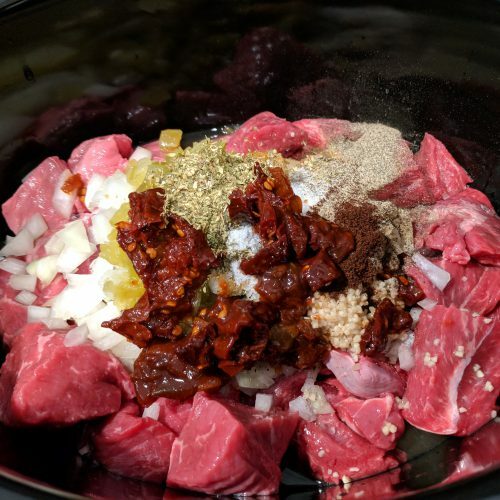 shred beef chunks in Crock-pot or remove and shred on a cutting board. 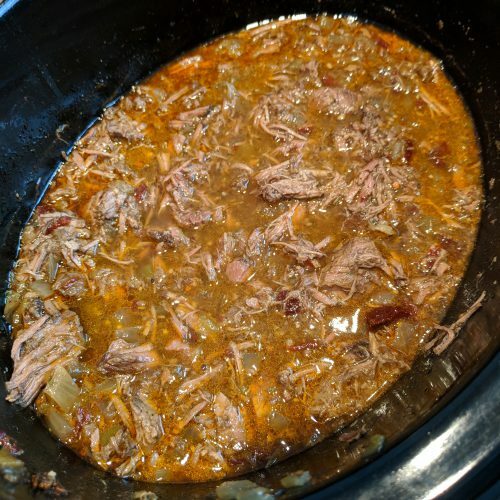 put shredded meat back in Crock-Pot and stir. Make the bowls! 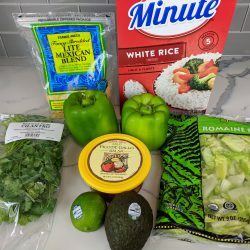 place 1/2 cup white rice, handful of shredded lettuce, desired amount of barbacoa beef, 2 tbsp pico de gallo, 1/6 of avocado, 1/6 bell peppers & 2 tbsp lite shredded cheese. Top with lime wedges, cholula and cilantro.